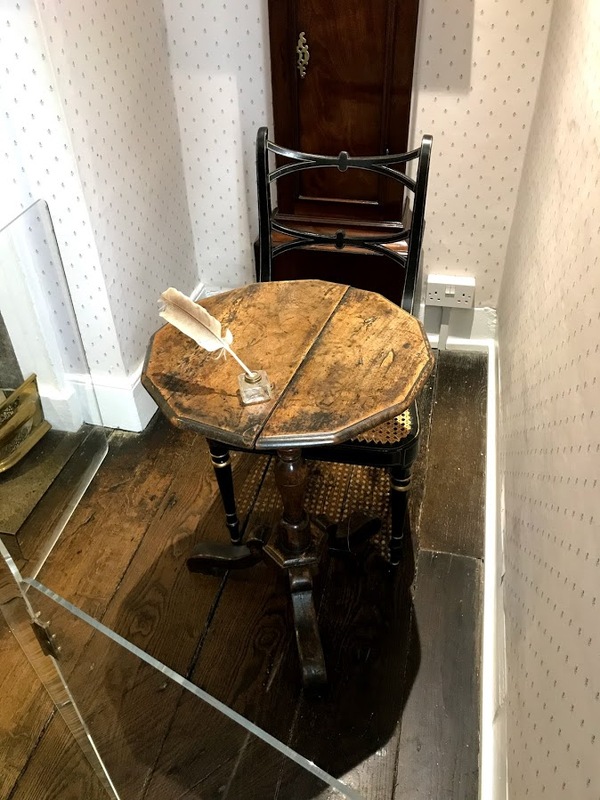 Today I finally got the opportunity to do what all Janeites aspire to do – check “Visit Chawton Cottage” off my bucket list! The day started off with a drive to Steventon where I got to visit the site where Jane Austen’s family home used to stand. Unfortunately, the rectory itself was demolished in 1820, just three years after her death. 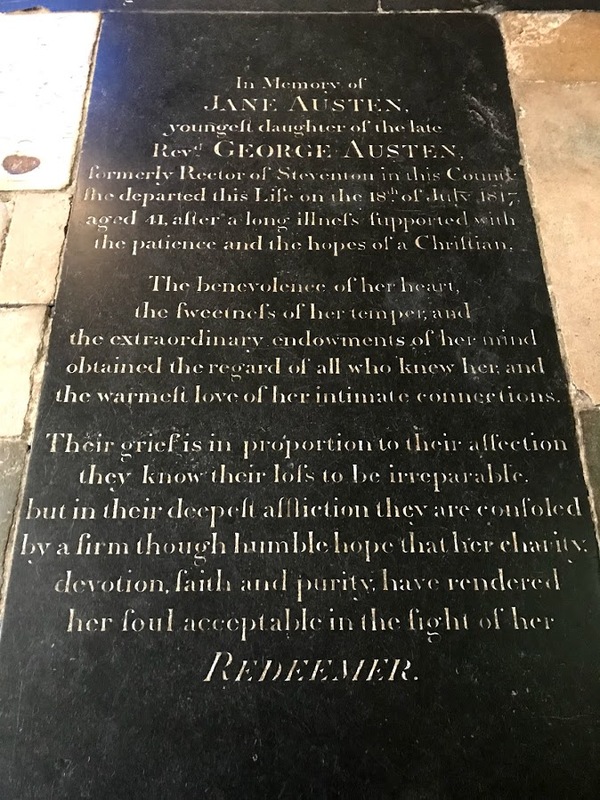 I also got to visit the church where her father, the Reverend George Austen, was rector and where Jane herself would have worshiped for the first 25 years of her life. 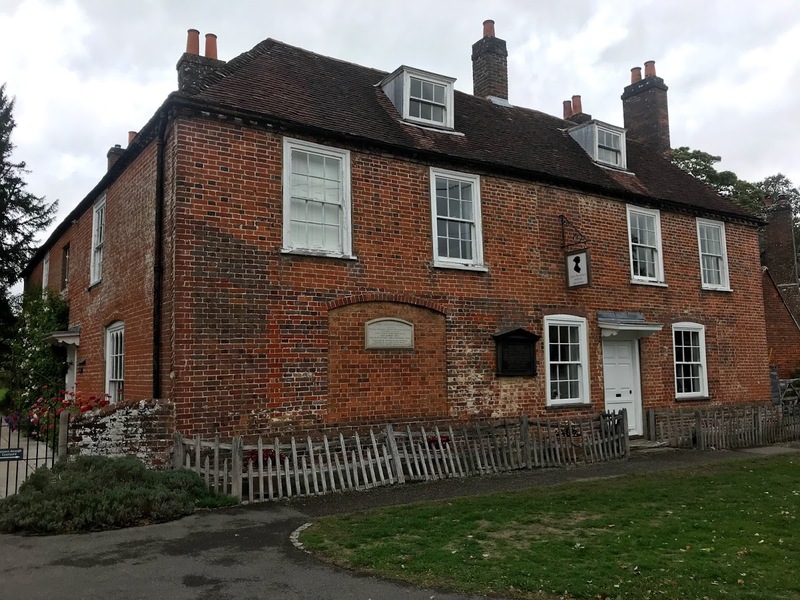 Then it was onto Chawton Cottage, where she moved at the age of 33 and wrote and/or revised all her completed novels. Inside I got to see the table that she wrote at as well as see some of the few items that we know belonged to her, including a topaz cross necklace and turquoise ring. The stewards at the museum were so amazing to talk to, and they actually gave me permission to play on the pianoforte in the cottage. 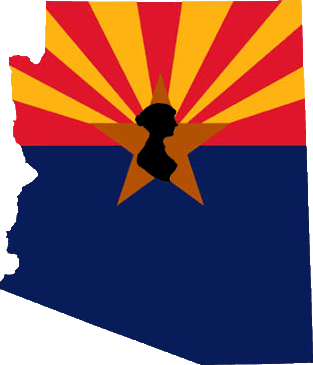 So, like a true Janeite, I sat down and played “Mrs. Darcy” from the 2005 adaptation of Pride and Prejudice. It was one of the most amazing and surreal experiences of my life. 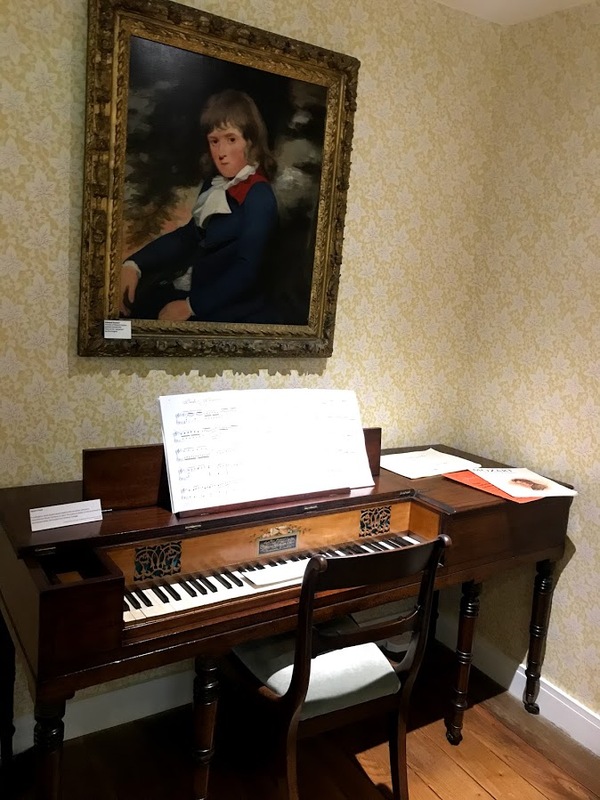 I sat in Jane Austen’s home and played the pianoforte, just as she herself would have done countless times! 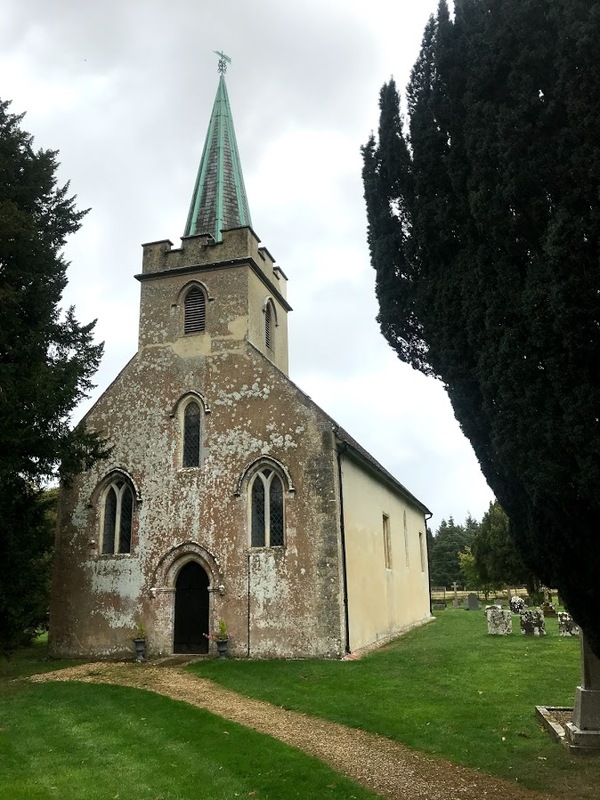 After visiting the museum, I grabbed a quick bite to eat at Cassandra’s Cup across the street, and then it was on to Chawton House and the church there, where her mother and sister are both buried. 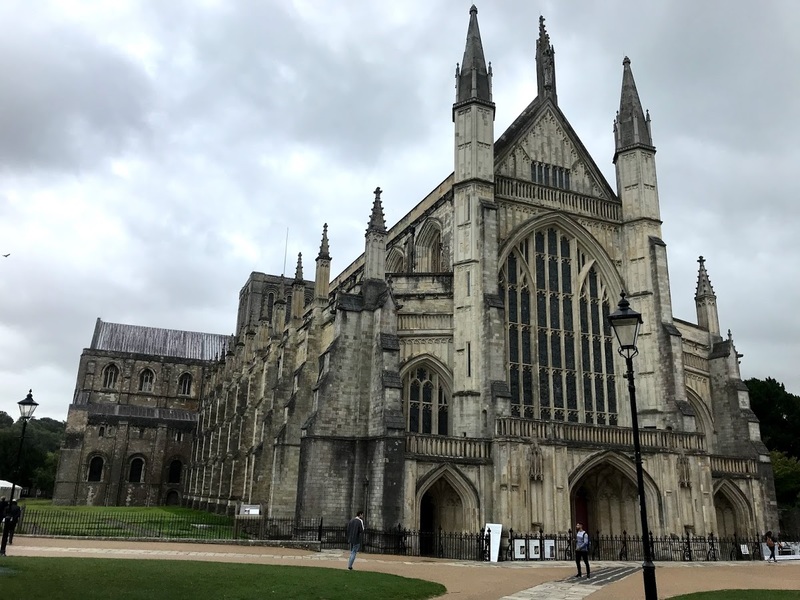 After Chawton, we made our way over to Winchester Cathedral, where Jane Austen is buried. It was very sad and somber, but also a deeply spiritual experience for me. There I stood at the burial site of one of the most influential writers of all time and a woman whose books have been there for me in times of sorrow, fear, and joy. 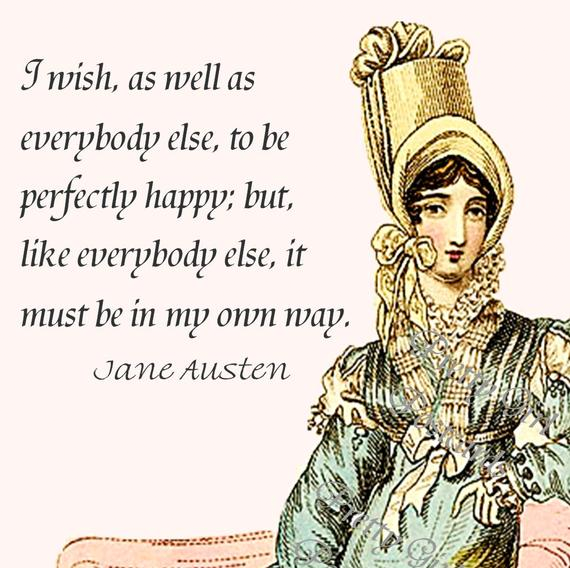 Even though I’ll never get the opportunity to meet her in this life, Jane Austen has touched my life in a very significant way.